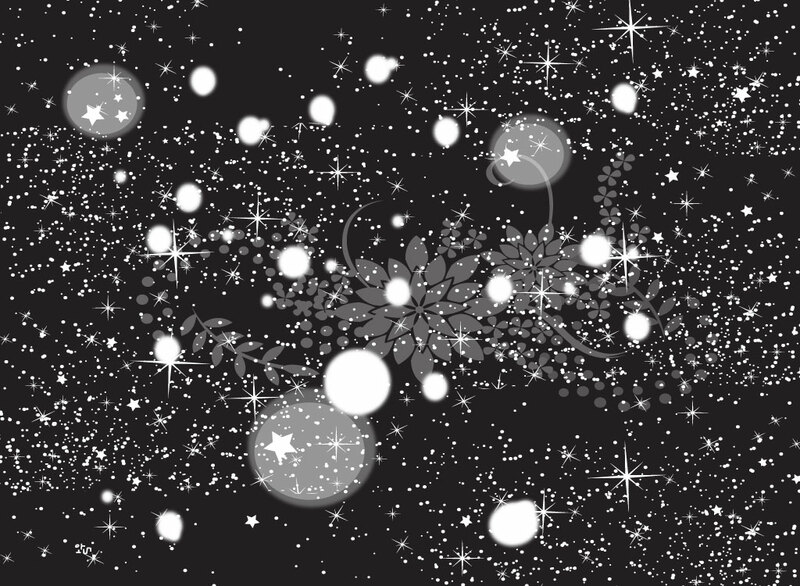 Decorative vector background image with a charcoal gray base dozens of twinkling stars, little dots that look like galaxies and planets and a light gray floral and plant graphic with strings of clover in the center. Free download for your desktop wallpapers and greeting cards. Tags: Cosmic, Floral, Flowers, Galaxy, Radiant, Space, Sparkle, Stars, Universe.